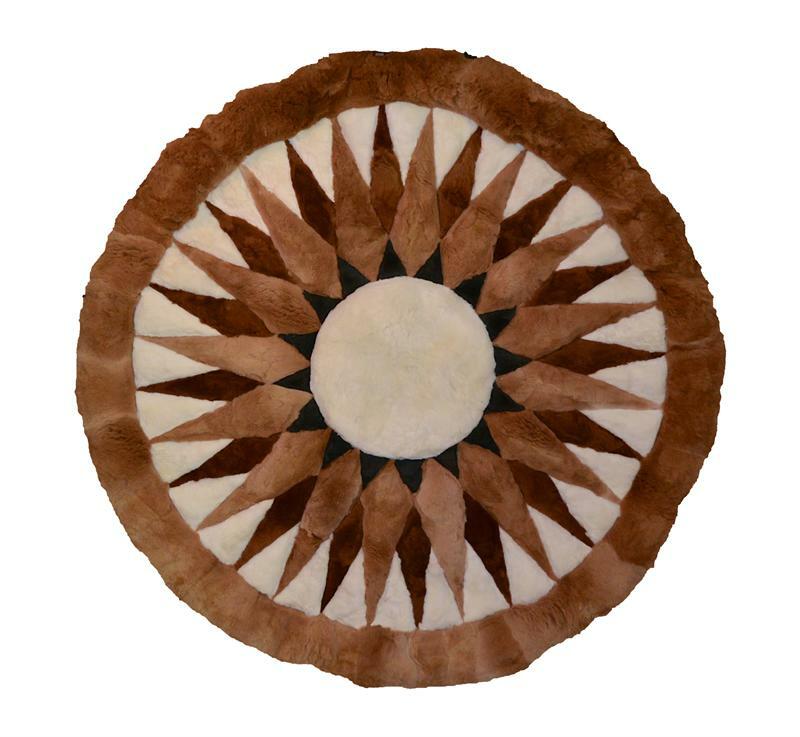 This ultra-soft round 100% Hand Made Alpaca Rug.&nbsp;&nbsp; This size can be effectively used as a wall-hanging in large rooms, a centerpiece for conversation areas, or even as a decorative focal point for beds or futons. Their generous size also makes these an imaginative alternative to a bear-skin rug for your fireplace area. 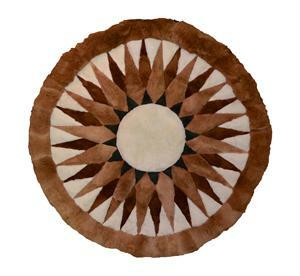 A dramatic statement for any larger floor, wall, or bed.&nbsp;&nbsp; Alpaca fur rug is a geometric design of a starburst.&nbsp;&nbsp; This alpaca fur rug can be used as an area rug, wall mount and even as an alpaca throw rug bed spread.